15 Dec – It was revealed that '90s Taiwanese heartthrob Alec Su will be releasing his very first project as a film director soon. 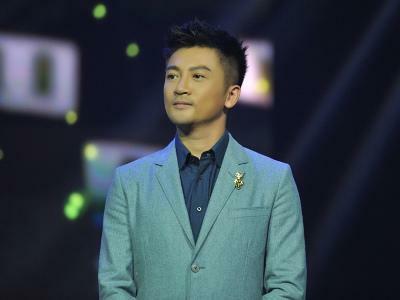 As reported on CRI News, the former singer earlier took the challenge of directing his first movie, "The Left Ear", an adaptation of author Rao Xueman's best-selling novel of the same name. Reportedly, Alec was one of the new faces that was recruited for a new project launched by film investor Enlight Media - aiming at training fresh filmmakers. Speaking to the media recently, Alec admitted that he did not plan to become a film director initially. "When the offer came, I just took it and hoped that I wouldn't let my investors down," he said. His debut effort was also commended by the author and screenwriter, who said, "When I first saw him, he was squatting against a wall and eating a box of takeaway food. It really surprised me to see such a top star looking like a labour worker." "The Left Ear" is currently in post production. Starring Oho Ou, Yang Yang, and Sandra Ma, the movie chronicles the life of four teenagers in love - seventeen-year-old introvert Li'er. whose left ear suffers from poor hearing, her crush Xu Ge, his girlfriend Bala, and Bala's real love, Zhang Yang.